Gaia Gardens will create a beautiful, organic, and sustainable environment that integrates aesthetically and ecologically with your property. We do this by providing personalized design tailored to your lifestyle. We design with a preference toward low maintenance, native, and functional landscaping based upon principles of sustainable land use and permaculture. Our finished projects are attractive while also serving a purpose. The careful selection of plants and knowledgeable design implementation can solve drainage problems and reduce the cost of heating or cooling a home. Many beautiful plants can also provide healthy snacks, for you and local wildlife. Prior to beginning a project, we will evaluate the present habitat and design according to the characteristics of your property. Plants are positioned with respect to their own micro-climate, treated as an element in the ever changing composition of nature. We maintain the same approach through all of our services, landscape design, hardscaping, plantings, container, and specialty gardening. Our maintenance practices are geared towards the health and success of every plant while emphasizing your stylistic preferences. We use IPM (integrated pest management) for effective, environmentally low-impact, low-cost problem solving. 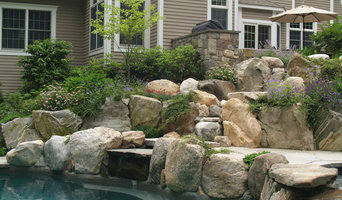 Steve's Landscaping is a full-service landscaping, residential & commercial contractor for over 35 years. 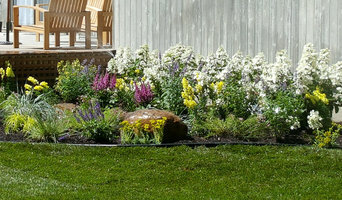 We specialize in outdoor living design and custom lighting and irrigation system. From landscape design and lawn maintenance to irrigation and masonry, Sam Navarra Landscaping is your local source for adding beauty to your property. With over 40 years’ experience, education and training in the field of Landscape Architecture/Design, Maintenance and Installation Peter Atkins is the visionary behind our business. We offer accredited organic landscape/garden, full ground maintenance and planting services. Because each property is different, our experienced team of garden specialists will customize a package to ensure lasting beauty and harmonious garden design. 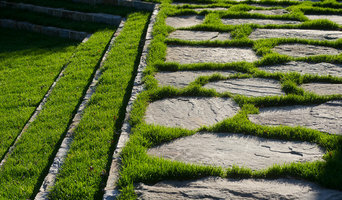 Our mission is simple; to offer high quality, affordable priced unusual landscapes and outdoor living spaces. We use only premium grade nursery stock and materials to deliver functional designs and surpass expectations. We view ourselves as partners with our clients, our employees, our community and our environment. We are an ACCREDITED NORTHEAST ORGANIC LAND CARE BUSINESS (NOFA). We have been officially all-organic for many years now, as clients have realized that their properties are important components of the larger ecosystem. We are committed to sustainable green design and healthy ecosystems which protects your pets, people, watershed and environments. We also specialize in creating dynamic EDIBLE LANDSCAPES. These gardens simultaneously grow vegetables, herbs, fruit trees, berry bushes and flowers while helping regenerate the land. All methods and products are sustainable and organic. HORTICULTURAL MAINTENANCE Like most living systems, gardens have cycles of need. From their initial planting and growth to maturity, all plants require pruning, shaping and, when necessary, rejuvenation. Seasonal cleanup, edging, weeding, correct fertilization and monitoring are all components of the stewardship that a garden needs throughout its life. Our staff of horticulturist includes licensed arborists, veteran groundskeepers and plant enthusiasts who all continually re-educate themselves within our industry to make sure we remain at the forefront of emerging trends in plant care. Peter Atkins and Associates offers customized maintenance approaches that balance horticultural excellence with your expectations and budget to achieve sustainable property enhancing care. Let us show you the difference we can make in your garden today!